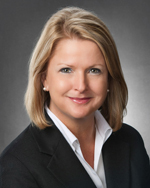 With over fifteen years at the Fort Bend Chamber, Keri Curtis Schmidt serves as the President and CEO. The Fort Bend Chamber is one of 82 chambers out of 7,070 chambers in the nation to receive the five-star accreditation and earned this highest national distinction under her leadership. Keri has directed several of the successful signature programs for the Chamber including the nationally acclaimed Sugar Land Wine & Food Affair which is in its thirteenth year. Keri received her BS in Environmental Design and Business from the University of Northern Iowa in 1984. She is a graduate of the United States Chamber of Commerce Institute of Organization Management at Loyola Marymount University in Los Angeles, the premier four-year professional development program. "Success is Just Around the Bend" at this 5-star Accredited Fort Bend Chamber of Commerce. Don't miss this presentation.